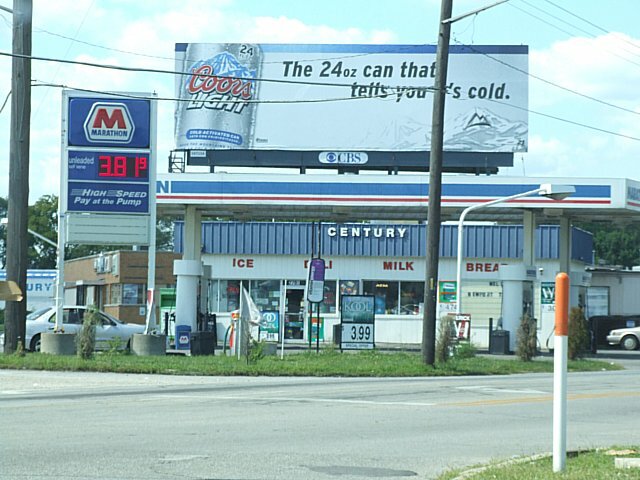 An interesting place to put a sign. 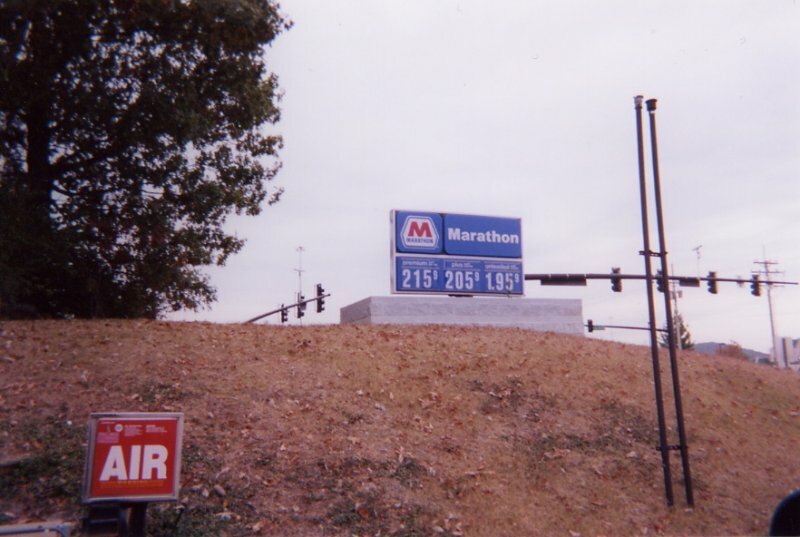 This Marathon is in Nashville, Tennessee. 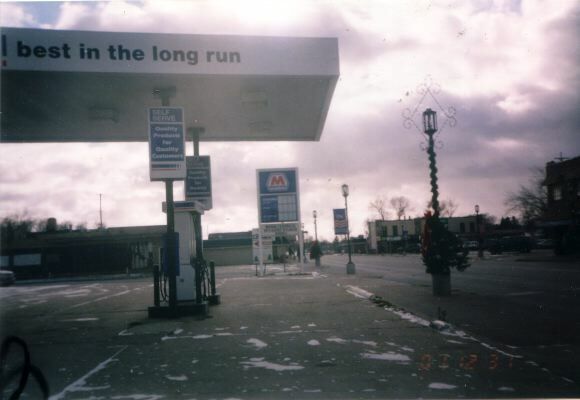 Photo taken in Oct. 2004 by David Aldred. 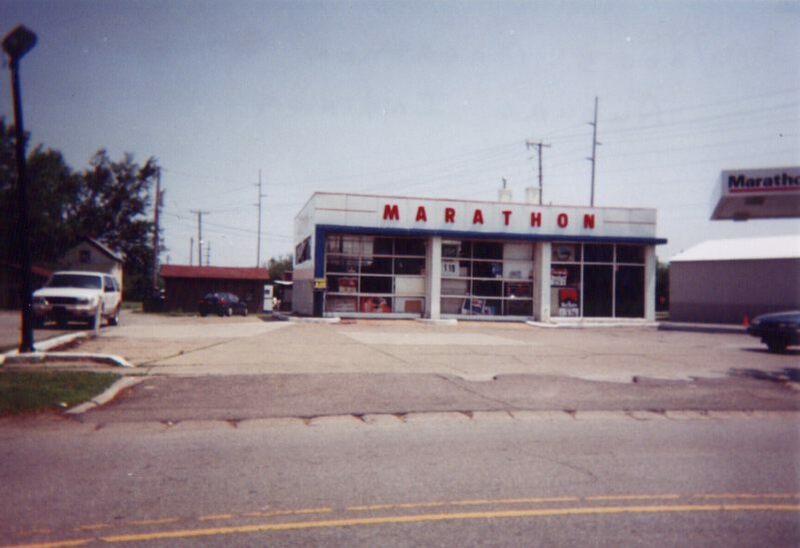 Marathon on Teal Rd., Lafayette, IN. (Near the Wendy's restaurant). 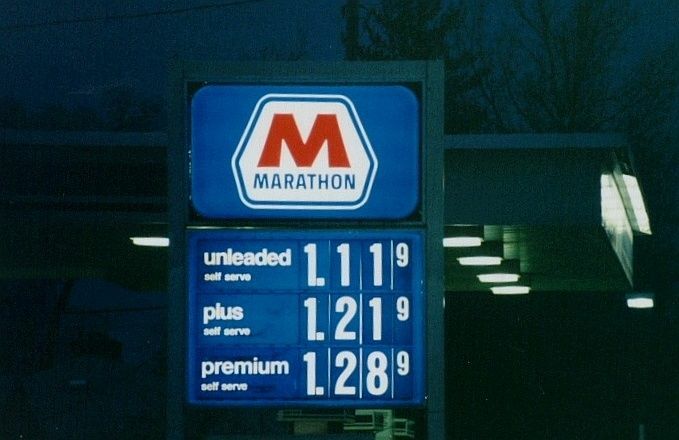 1995 photo by Sonya Cirillo. just before renovation. Photo by Sonya Cirillo. 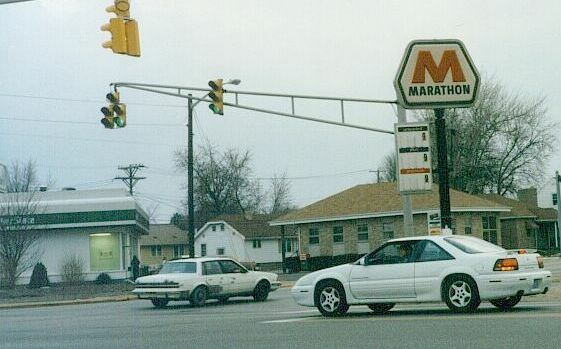 Marathon in Auburn, Indiana. Taken June 2003 by David Rowlison. 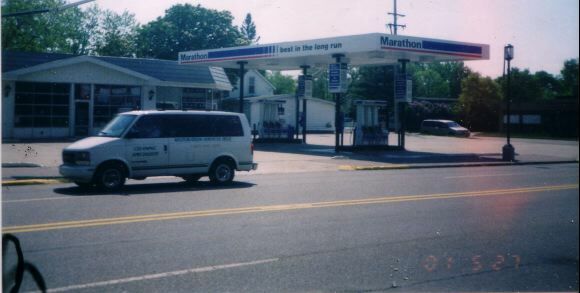 An old Marathon in downtown Standish, Michigan. It was abandoned probably in the mid-1990s. The building is still up, but out of view on this shot. 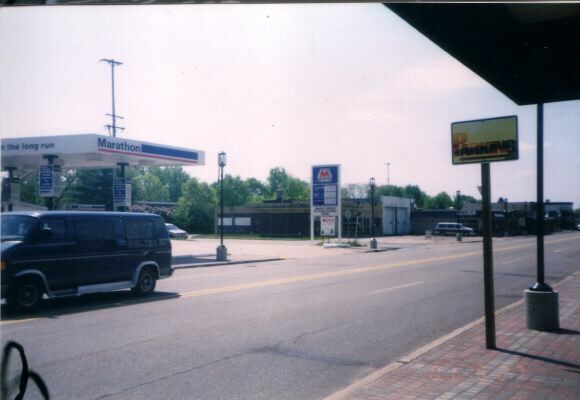 Photo taken by Bobby Peacock, 2002. 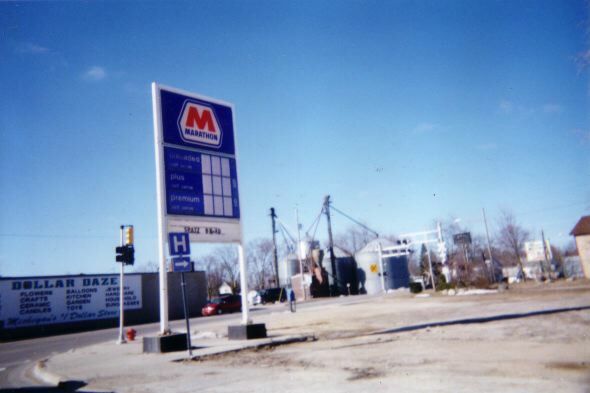 Note: As of December, 2004 this station has been demolished. originally a Standard. Photos 1 and 3 taken May 27, 2001; Photo 2 taken New Year's Eve 2001. Update: Bobby has reported that as of October, 2004 this station is again closed. 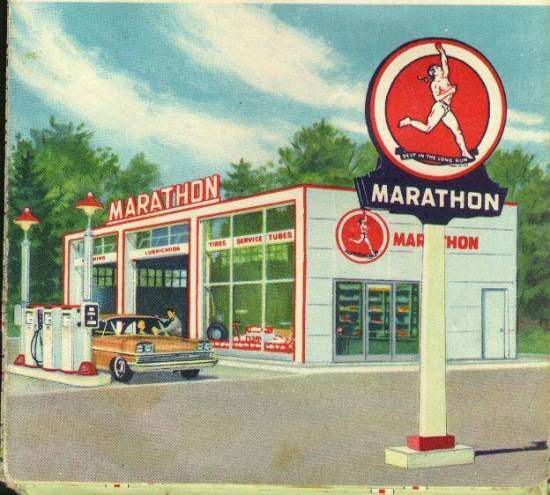 A Century station now branded Marathon. 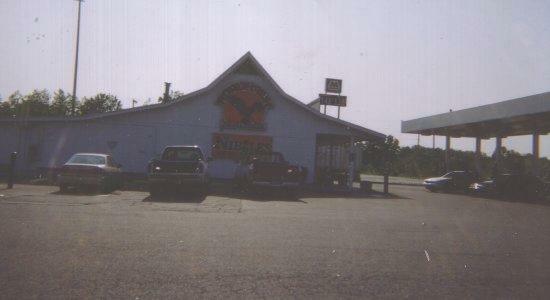 Located at 270l Lafayette Road, Indianapolis, Indiana. Photo taken August 17, 2008 by John Cirillo. corner of I-94 and M-51 west of Paw Paw, Michigan. Here's the same photo again with the brightness cranked up.